Chief Executive speaking at National Health and Wellbeing Conference: How psychologically safe is your team? 7 elements that are crucial to improving wellbeing in the workplace. Few businesses realise that wellbeing is directly related to performance and productivity. After careful research and analysis, Wellbeing Works have created 7 Key Elements to Workplace Wellbeing. By tackling any of these key areas, including wellbeing itself, we can improve overall wellbeing within your organisation and drive the business forward. Our holistic, proactive, data driven approach analyses the bigger picture to ensure we can offer solutions and advice that are right for your organisation, with wellbeing always at the heart of what we do. Wellbeing in the workplace is crucial. Performance and productivity have been significantly proven to rise in organisations who promote wellbeing amongst their employees. 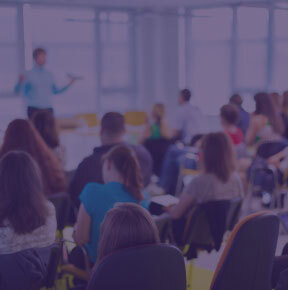 We’re experts in developing leaders who can harness the talents of their teams. Delivering a clear focus on wellbeing from the top down has been proven to produce significant uplifts in both team and individual performance. Strategy refers to clarifying and setting out a plan for the future, which will generate measurable and sustainable results. Make the difference in…achieving goals and aspirations. Performance is about achieving optimal output. Improving performance, whether at an organisational, team or individual level, is intrinsically linked to the wellbeing of your staff. What would be the impact if you lost your most valued employee? What would the impact be if you could find more people who were suited to that individual’s profile? In many organisations, it is often the case that demands exceed capacity to deliver. Learning is recognised as valuable, but determining what is essential and how it can be measured is often a difficult exercise. Whilst most organisations acknowledge team working as important, few will obtain the full benefits of optimal team performance because they’ve yet to invest in the simple tasks that generate a great return. 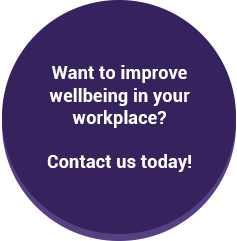 Find out about the latest news and events from Wellbeing Works and discover more about workplace wellbeing on our blog.